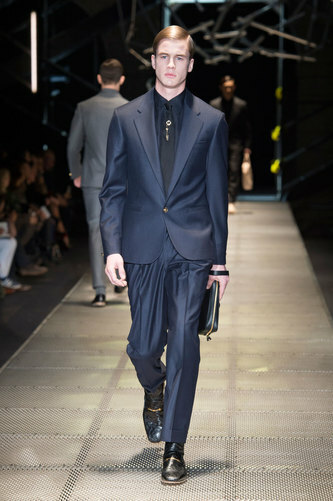 Versace Man Autumn-Winter 2015-16 – After opening the show with elegant blue suits, Donatella Versace focuses on a fresh and casual style. 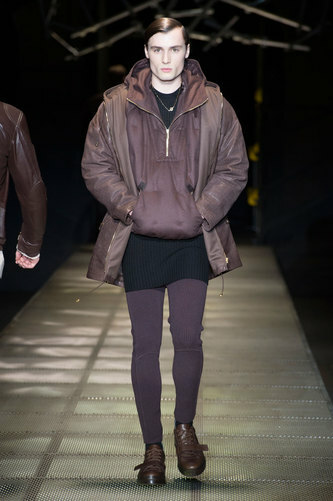 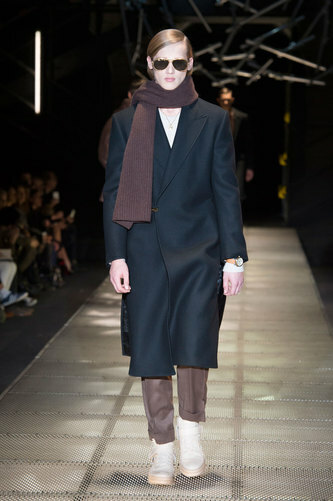 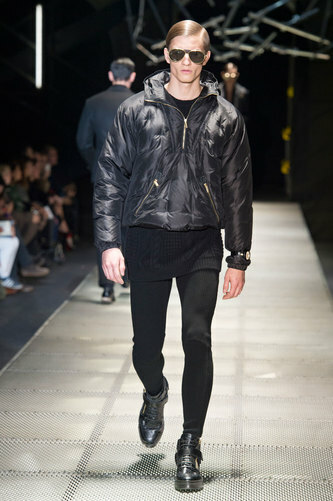 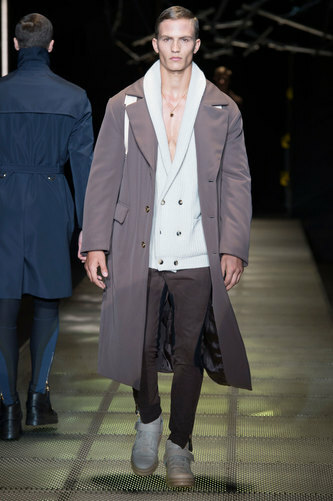 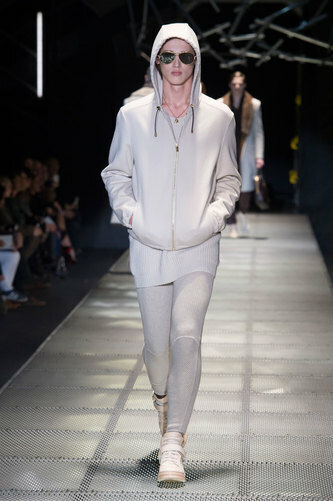 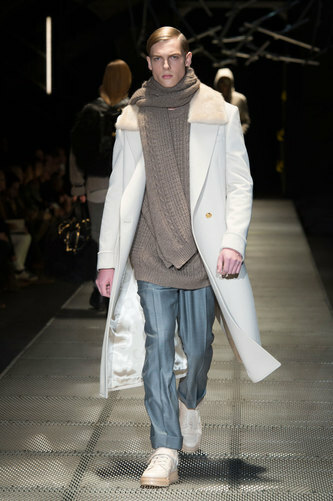 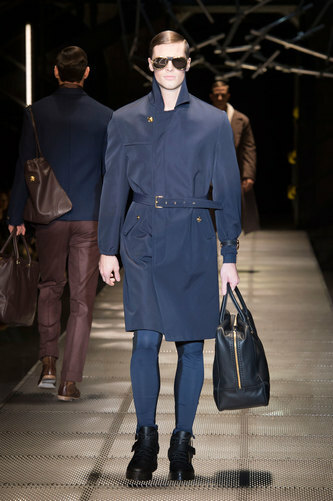 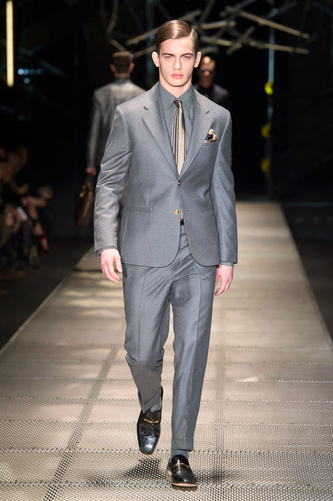 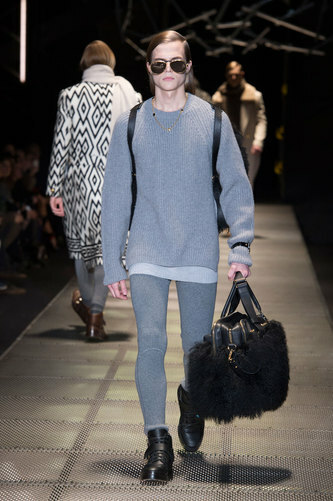 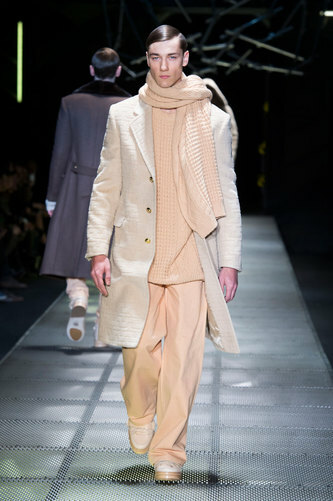 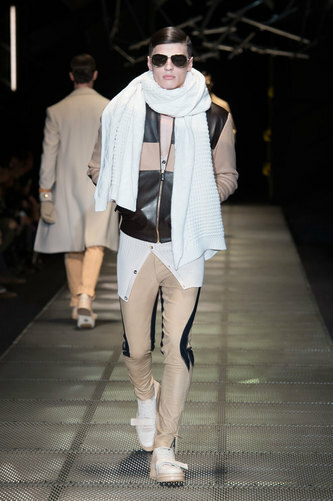 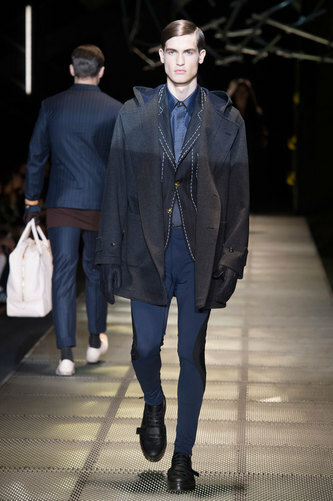 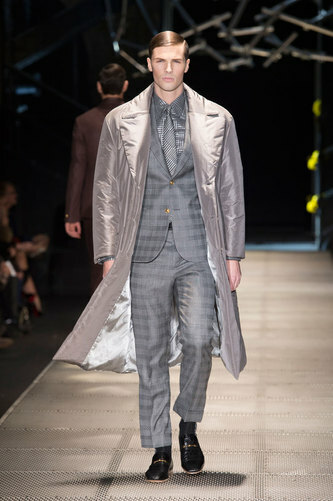 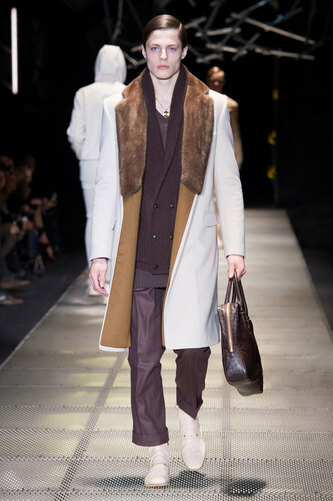 Leggings and tights are part of the outfit, golden details such as buttons or necklaces are adorning the man. 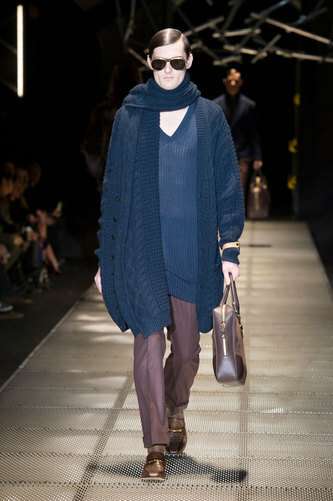 She uses big size long cardigans and sweaters giving the idea of short skirts. 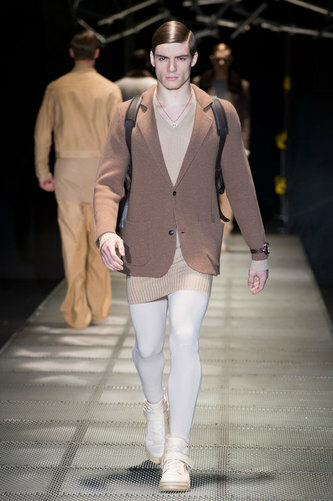 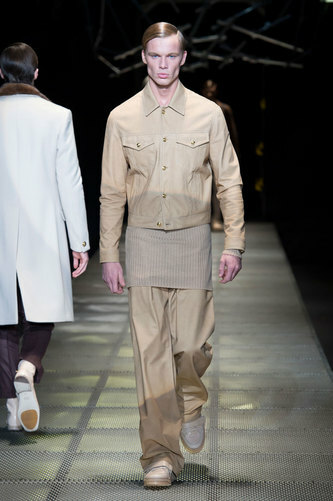 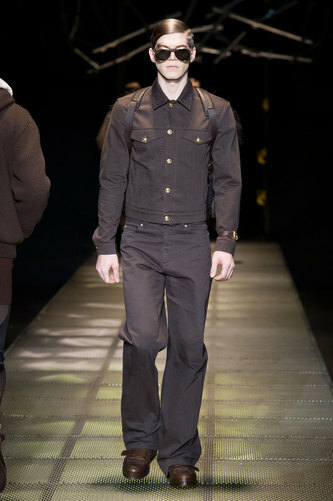 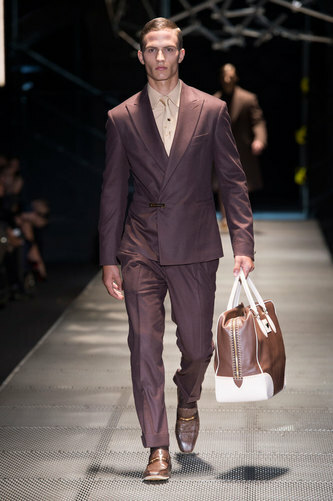 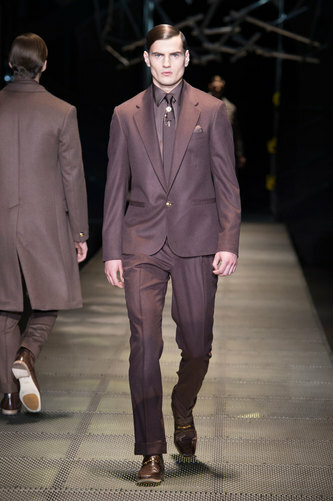 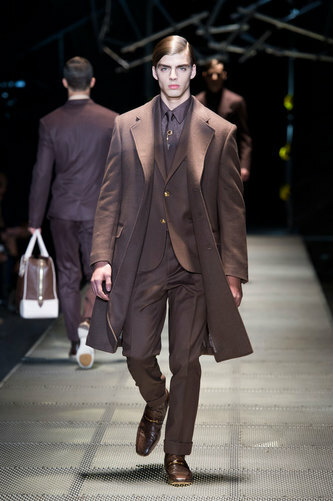 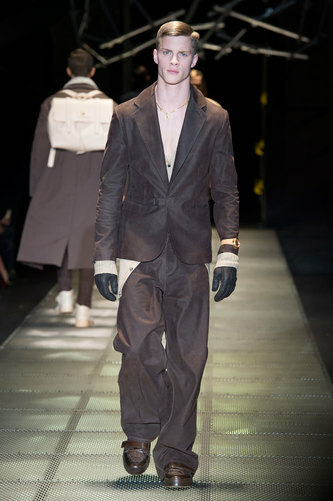 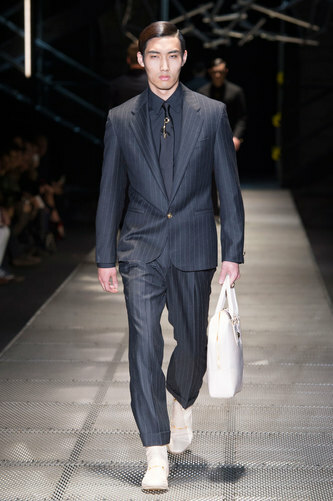 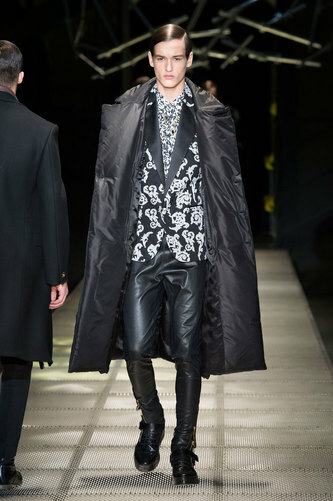 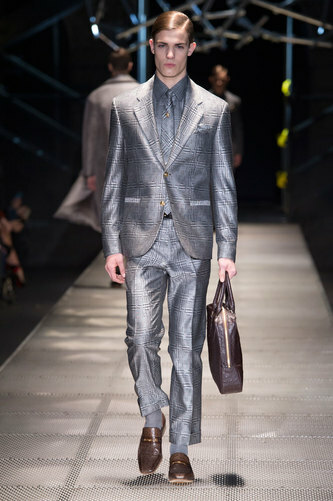 Donatella designs feminine outfits for masculine bodies. 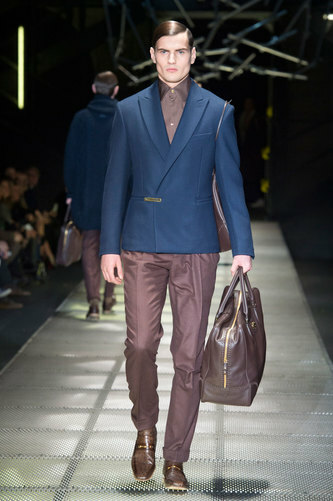 The collection is a celebration of brown and blue tones. 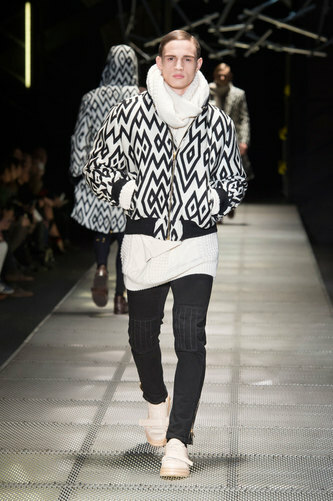 White and black rhombus garments break the monochromatic suits. 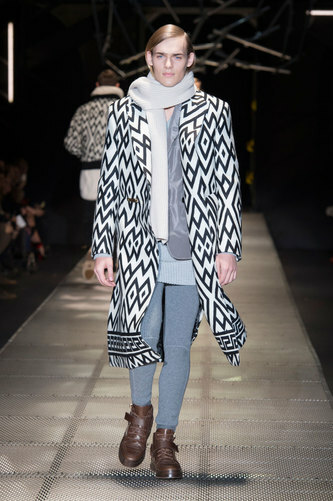 Big size coats remind the woman trend. 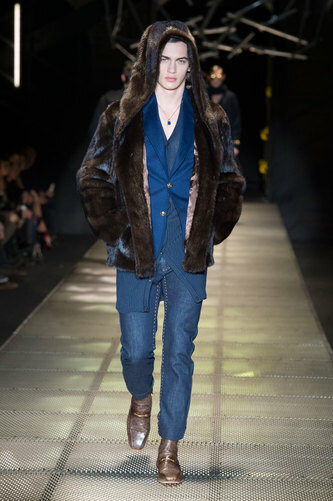 Donatella uses fur especially in the collars. 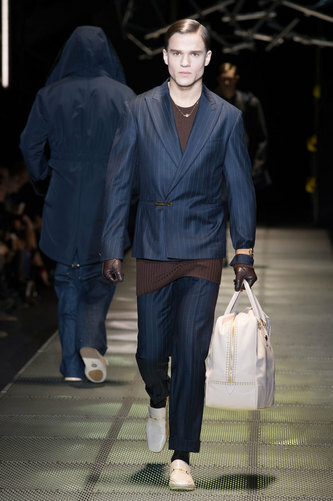 Accessories are completing the outfits: Leather bags are present. 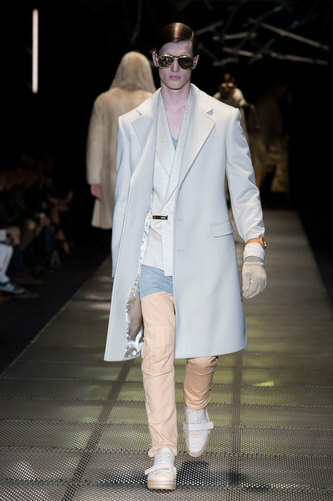 The Italian brand exposes watches over the sleeves.